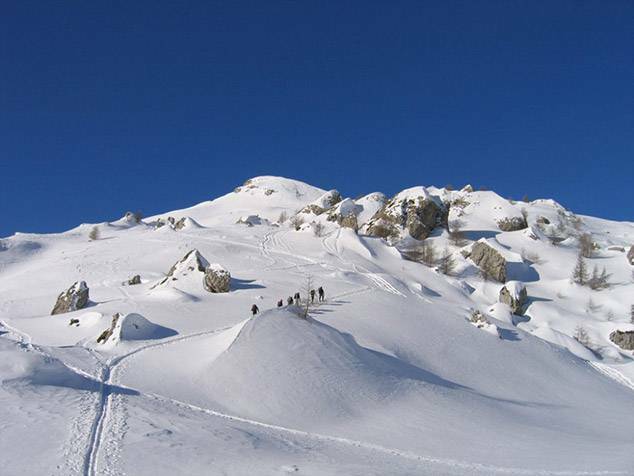 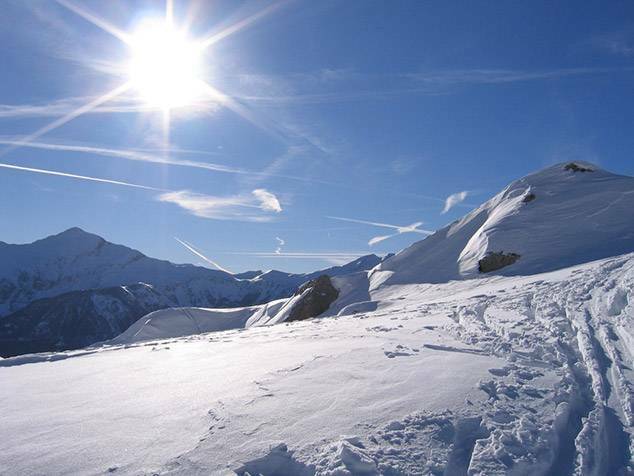 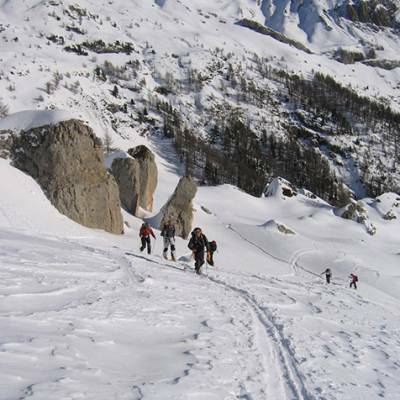 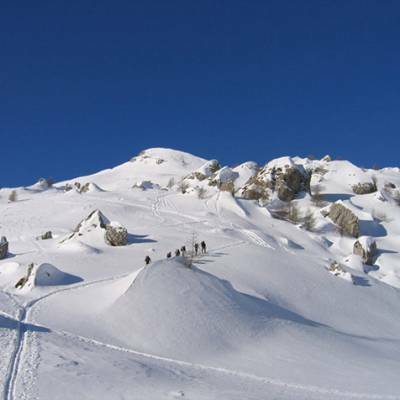 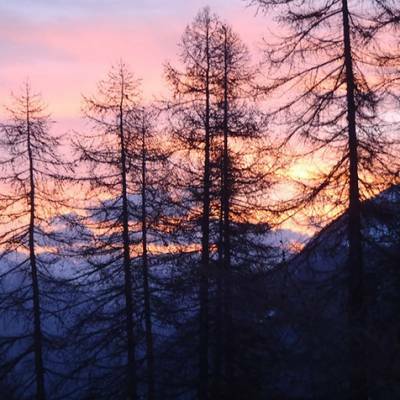 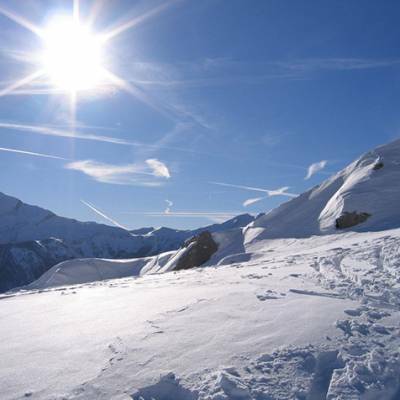 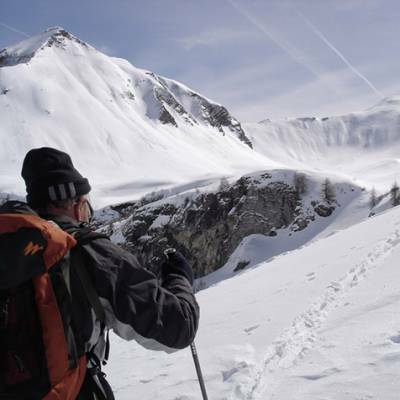 The Southern French Alps area is perfect for ski touring, backcountry skiing and mountaineering as there are a huge variety of routes, from technical, long distance high mountain traverses (including the Tour des Ecrins) to short day trips on easier slopes. 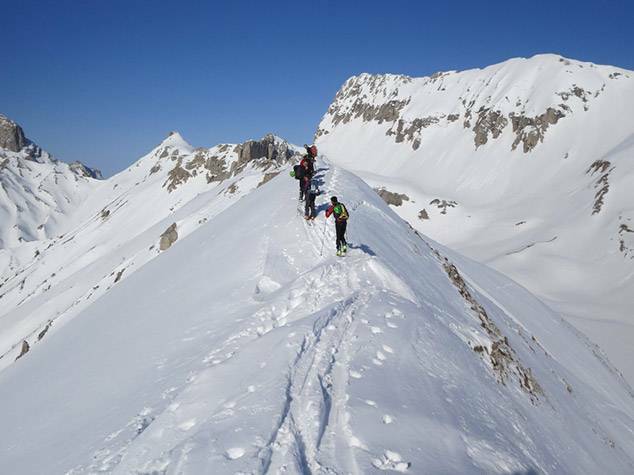 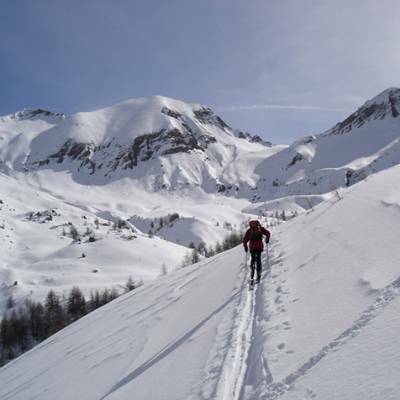 It is also slightly away from the main ski touring honeypots such as the Haute Route, so you can really get away from the crowds and experience the majestic ambiance of the high mountains in the winter. 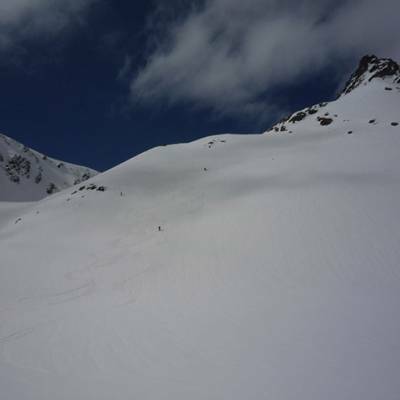 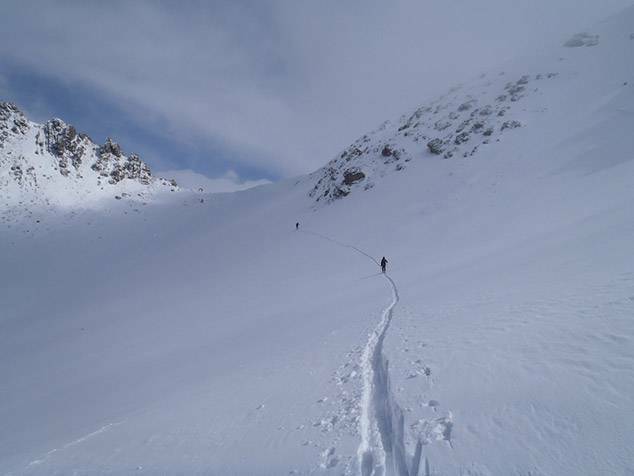 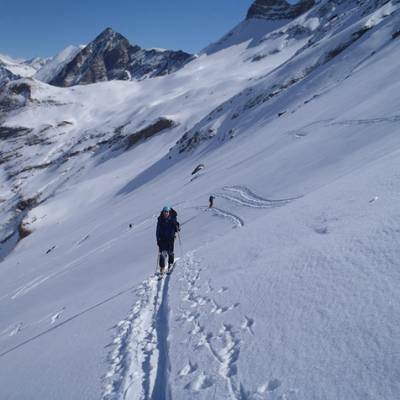 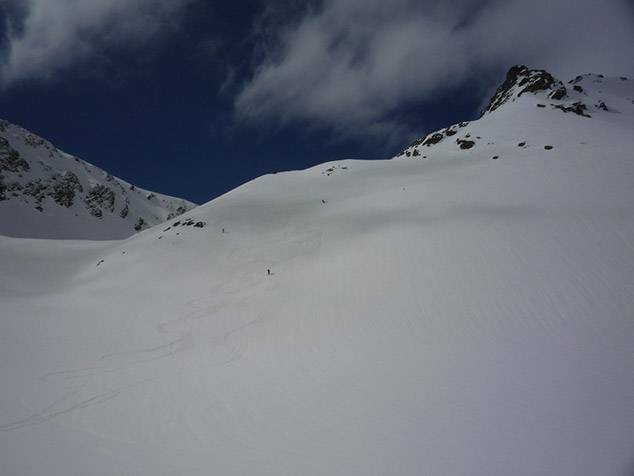 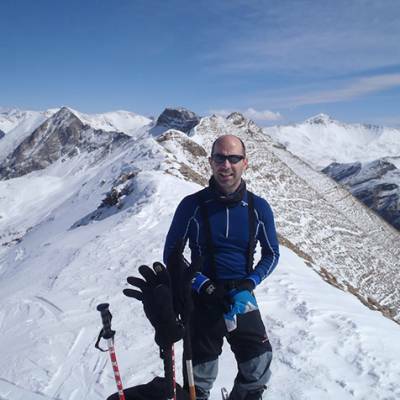 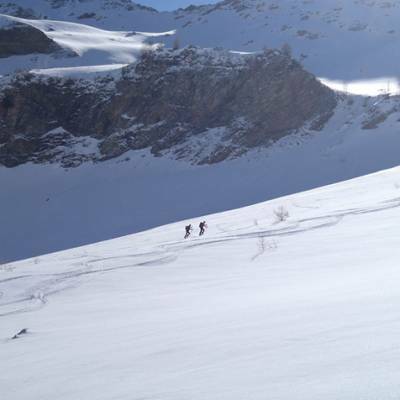 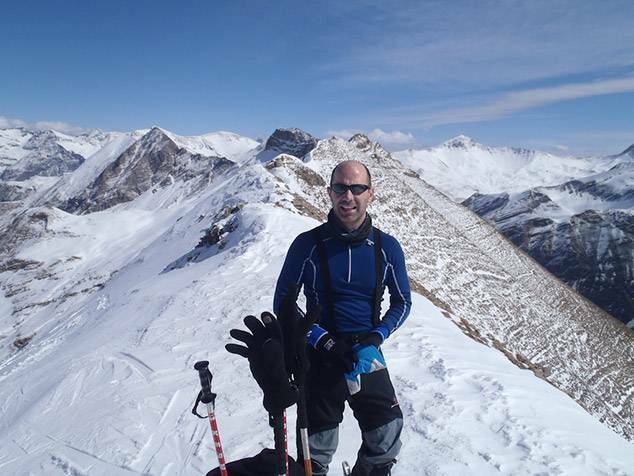 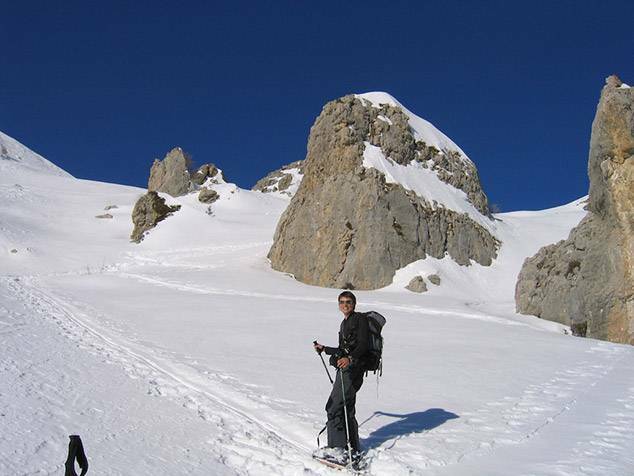 The Queyras mountain range in the Southern French Alps is also an excellent ski touring destination for those wanting to get off the beaten track. 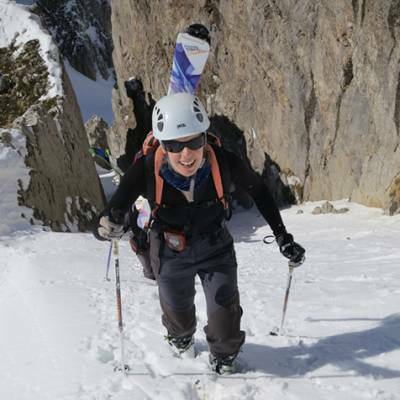 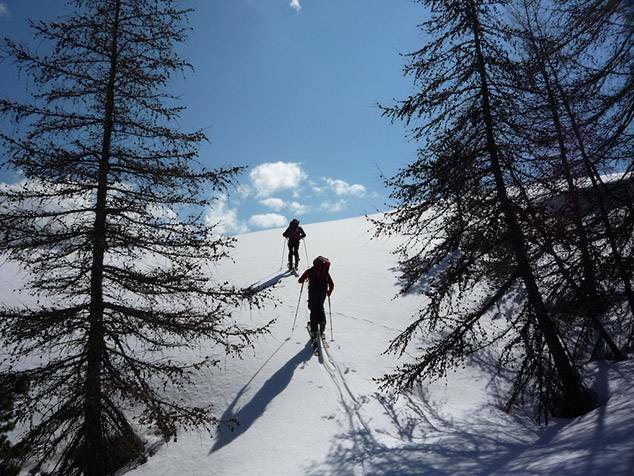 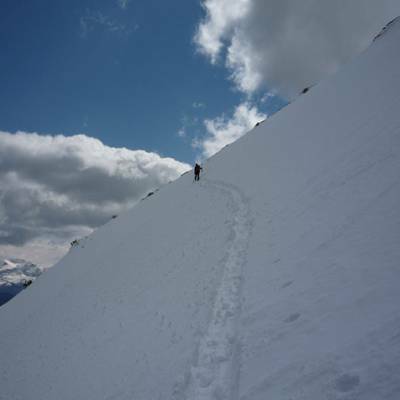 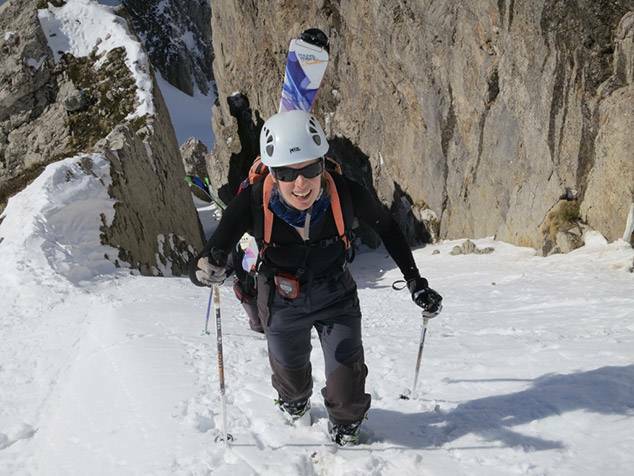 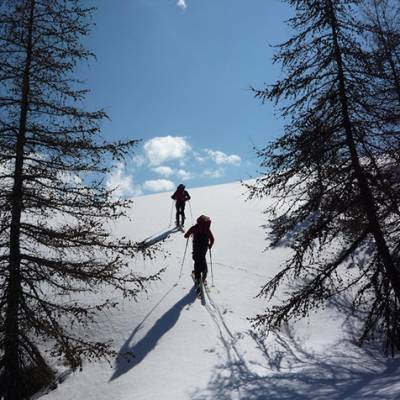 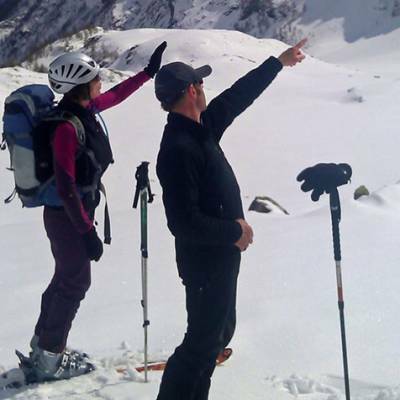 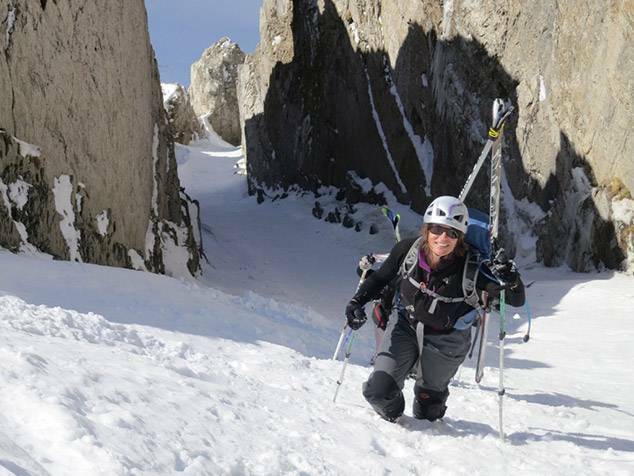 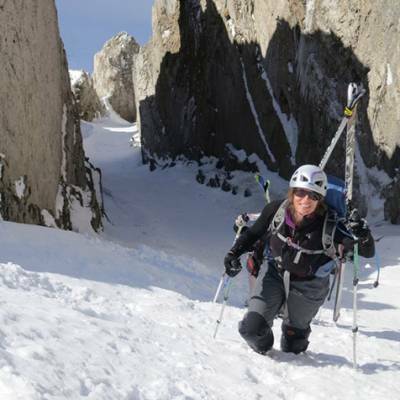 Blessed with high snowfall and a variety of cols and summits accessible from mountain refuges, the choices and possibilities make the Queyras one of the greatest places there is for beginners through to intermediate ski tourers. 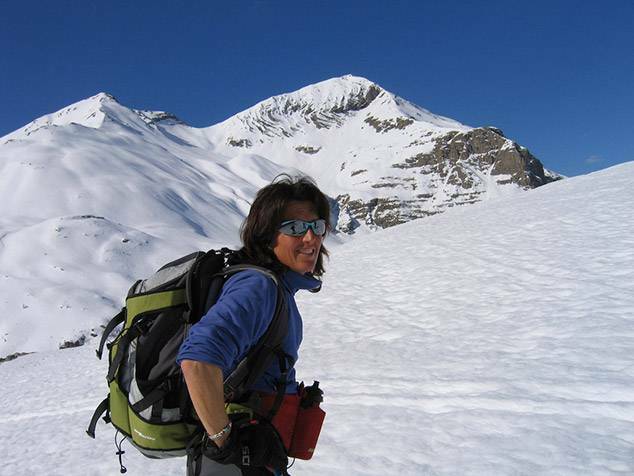 We choose our guides with great care. 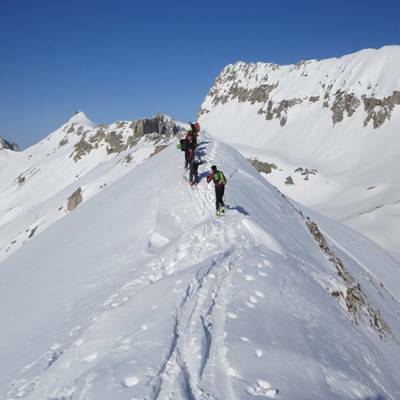 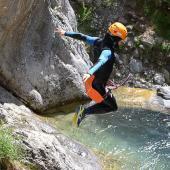 All our guides are fully qualified UIAGM high mountain guides and experienced mountaineers with local knowledge and a high regard for safety. 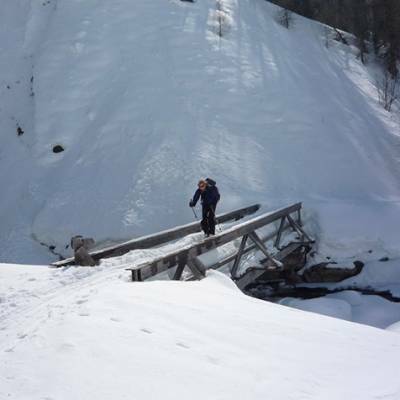 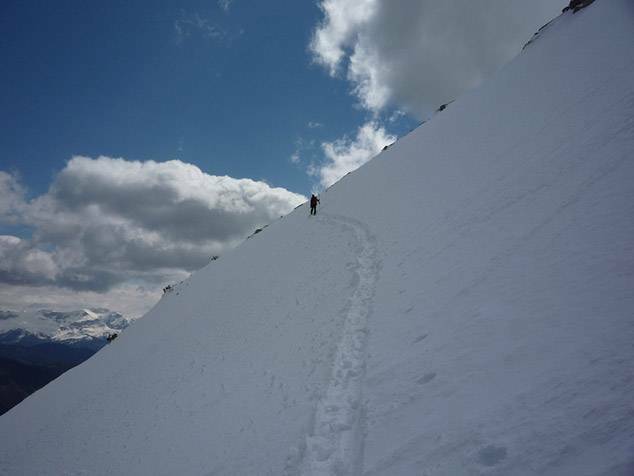 They will think nothing of turning back if your safety is at risk, even if that means you lose a day in the mountains. 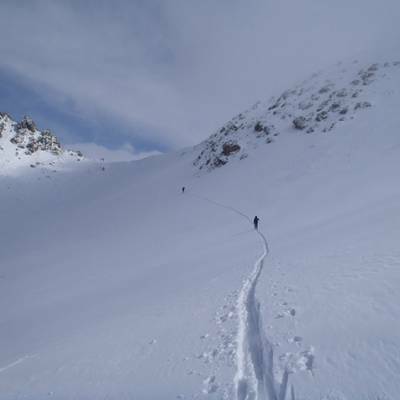 If you are unsure of whether ski touring in the Alps is for you, have a read of our blog article, "Is Ski Touring in the Alps for me?" 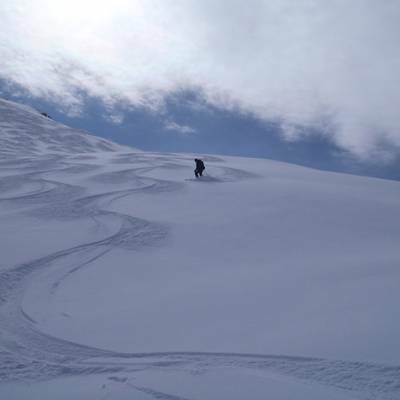 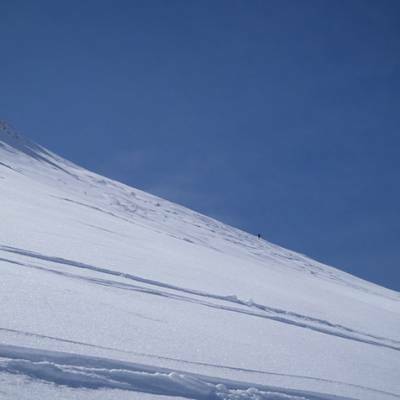 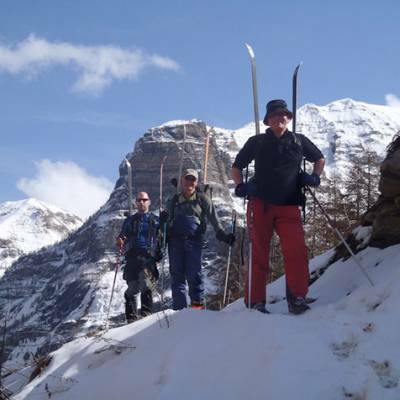 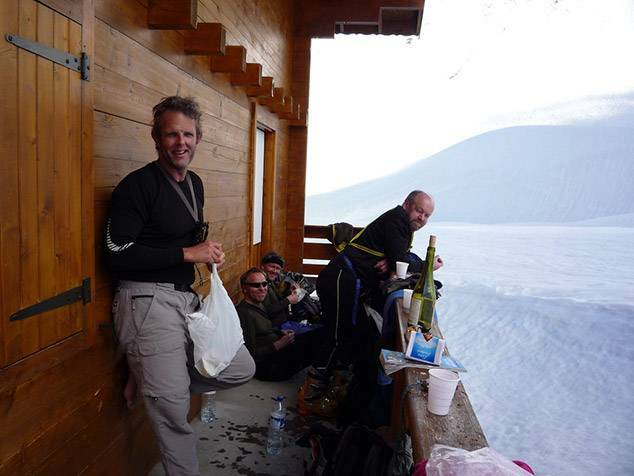 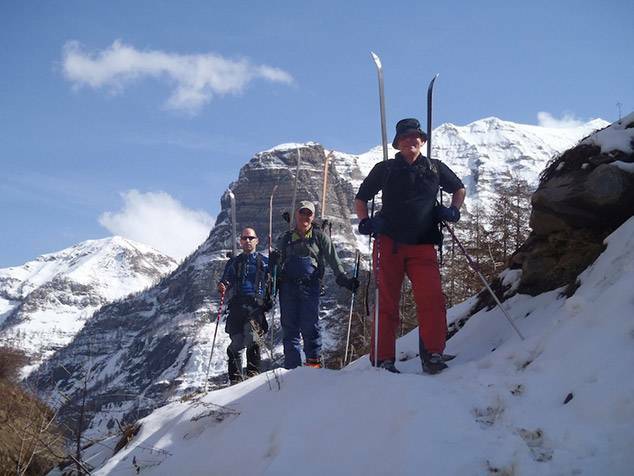 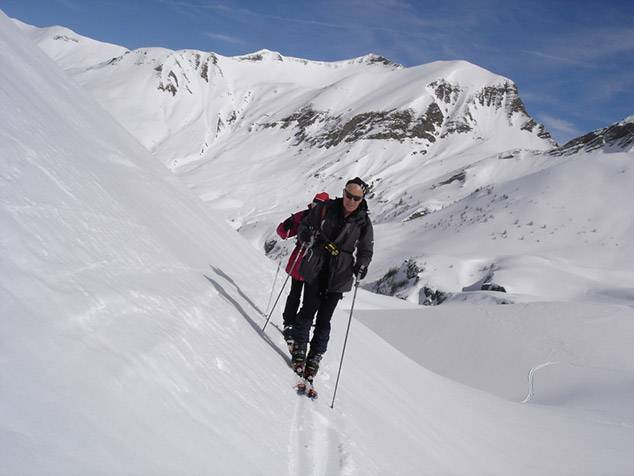 If you would like to try ski touring, have a look at all our ski touring packages. 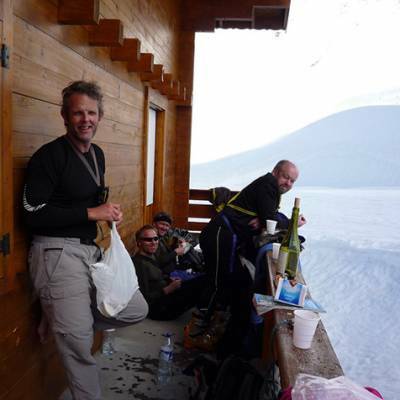 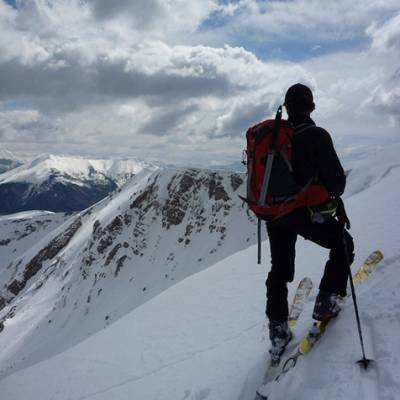 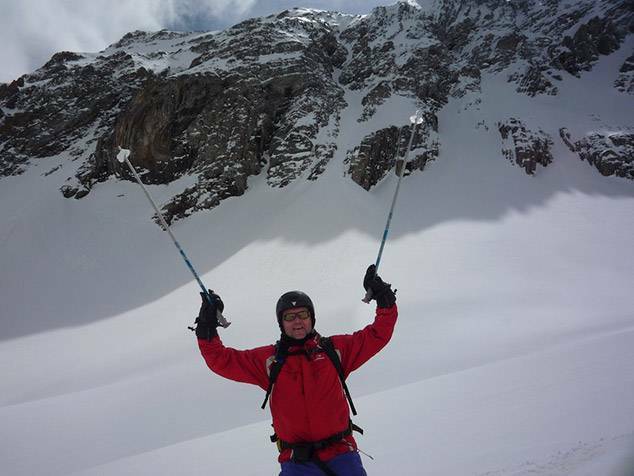 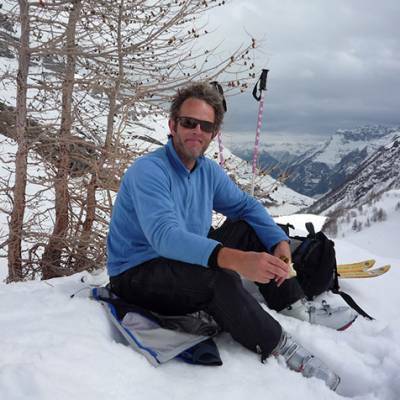 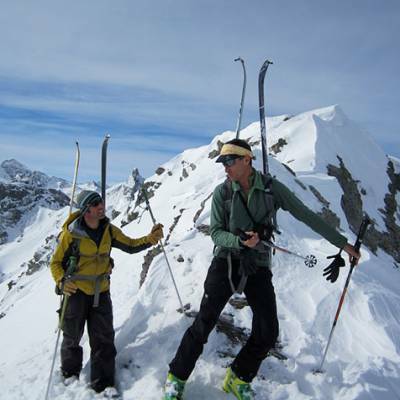 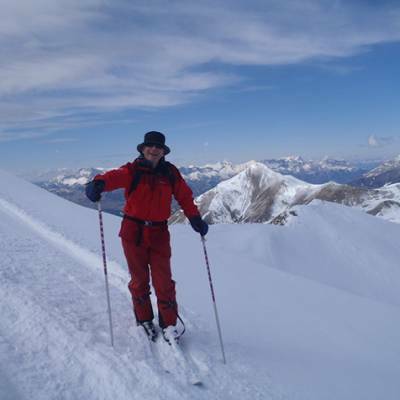 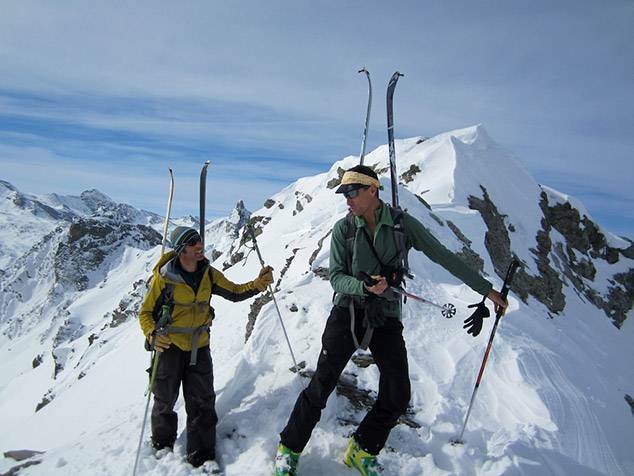 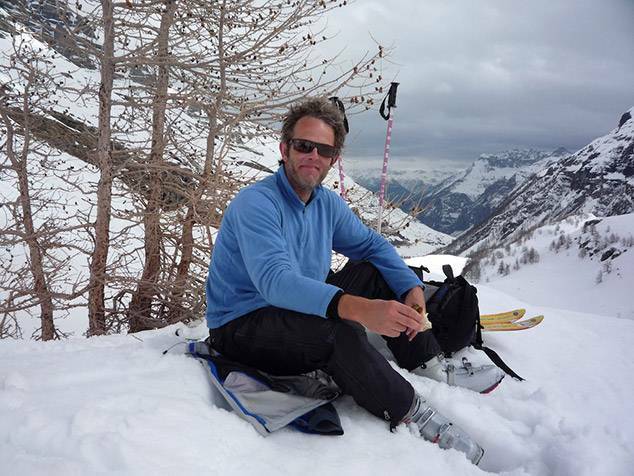 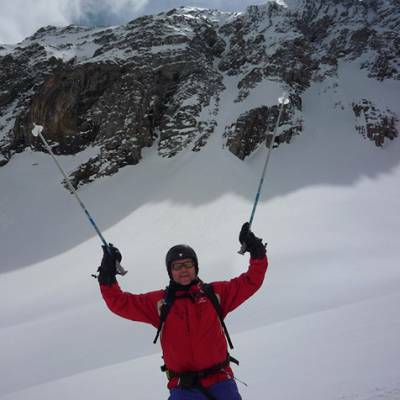 There are ski touring tours and trips for all levels. 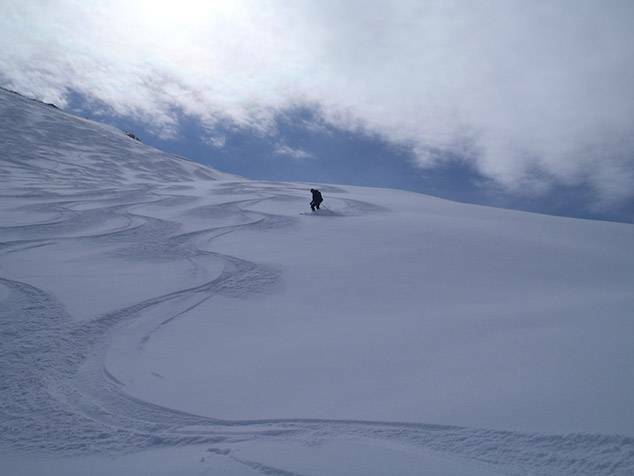 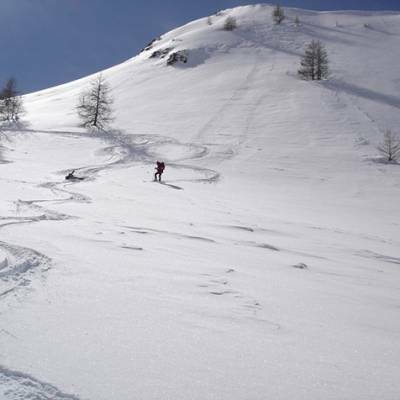 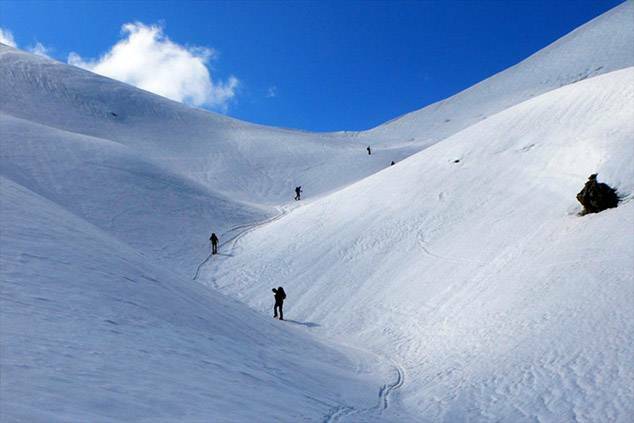 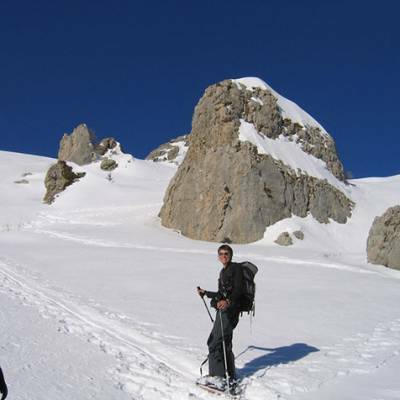 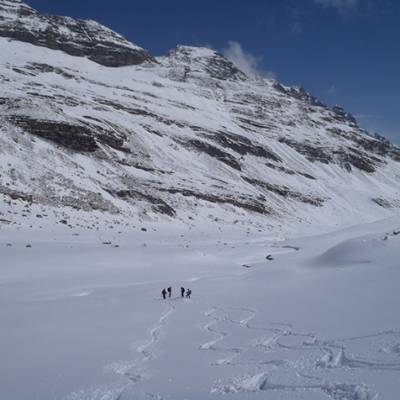 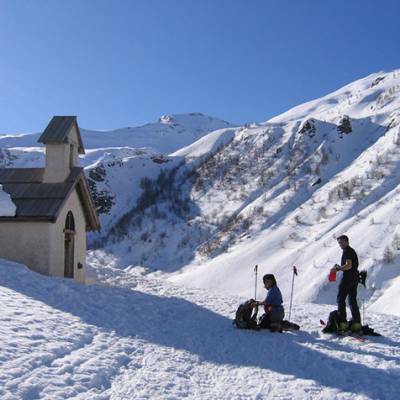 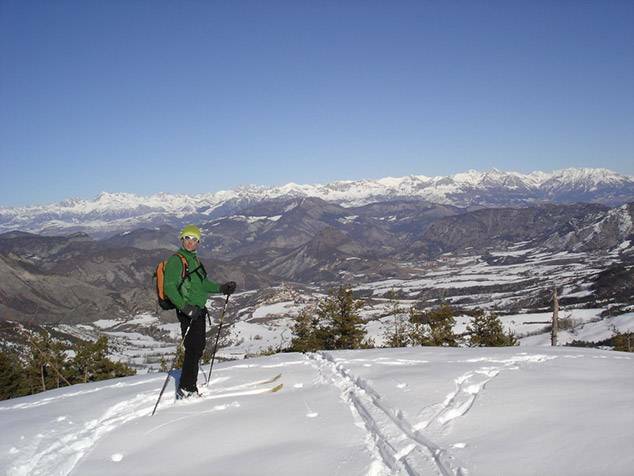 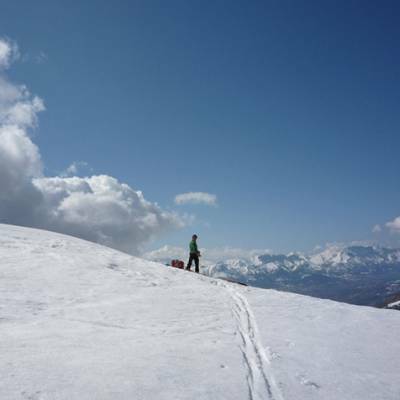 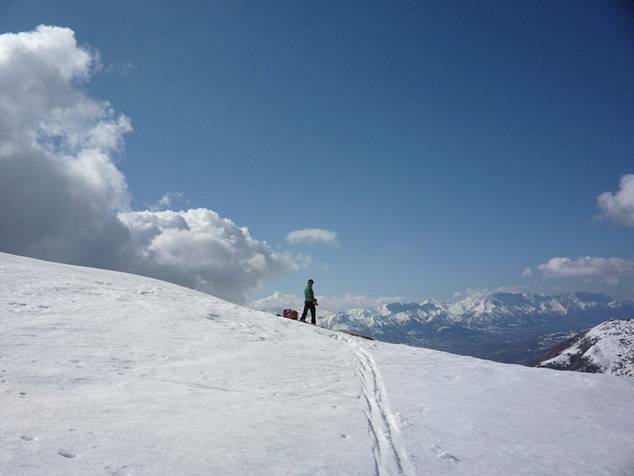 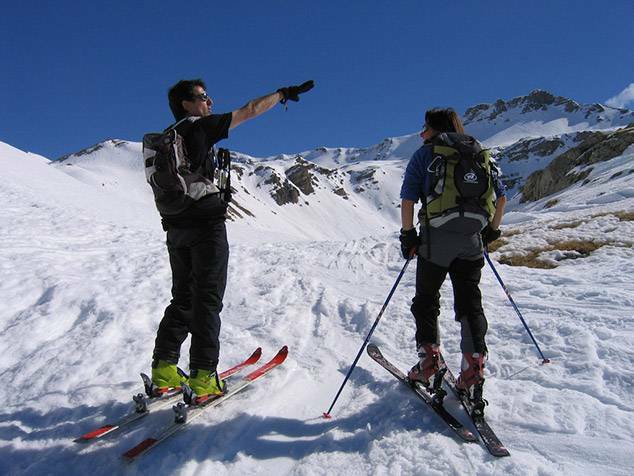 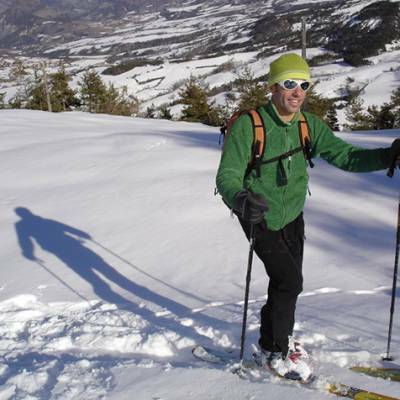 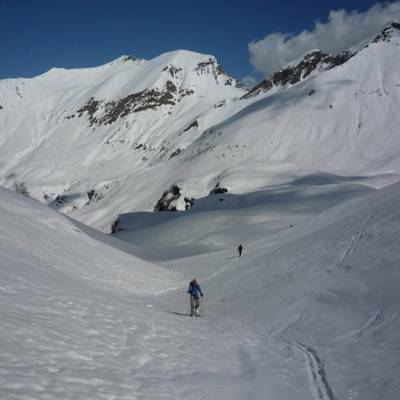 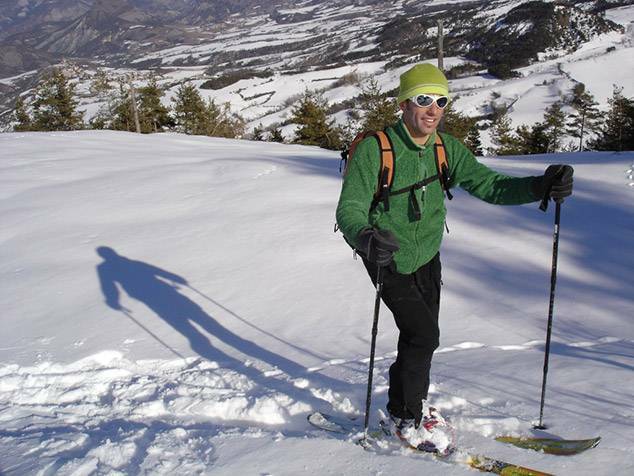 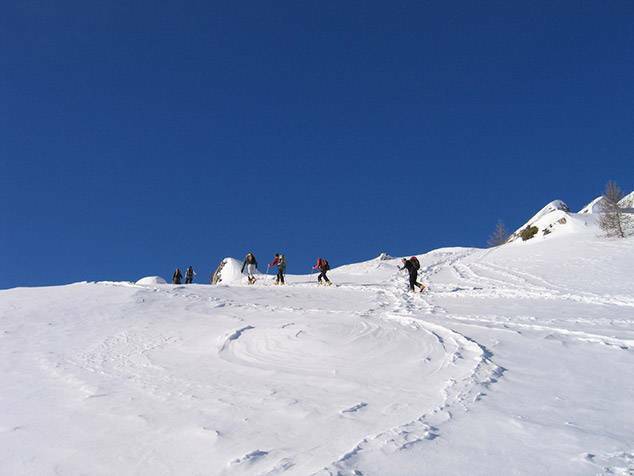 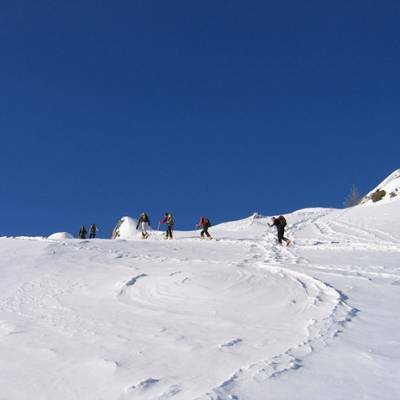 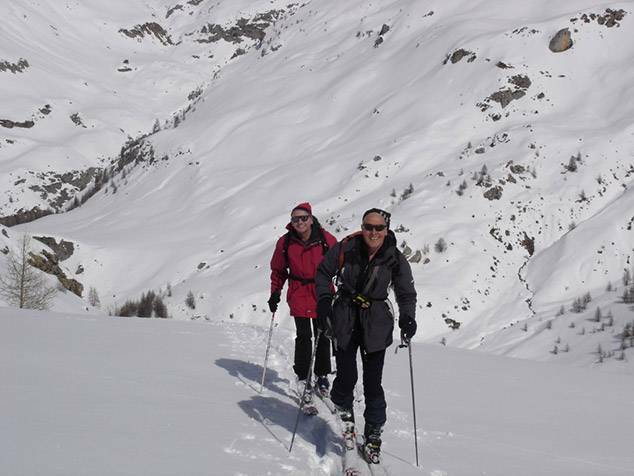 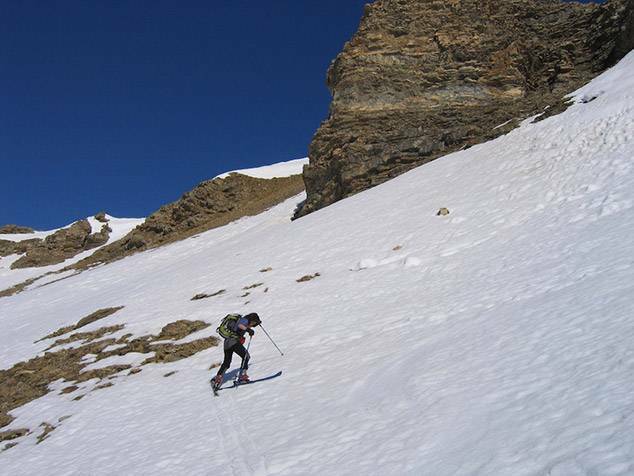 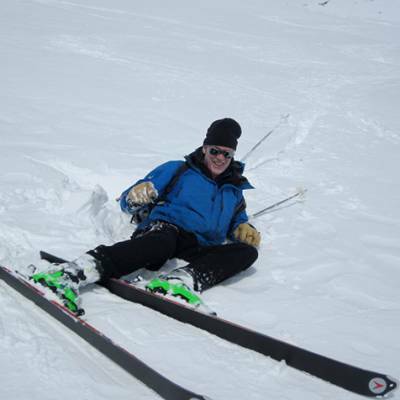 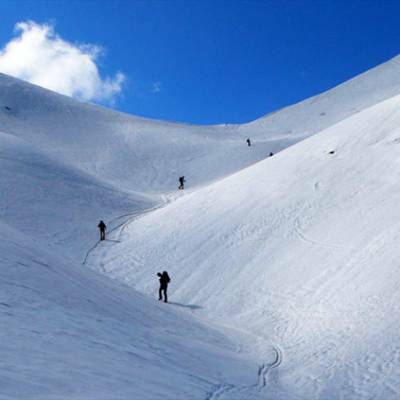 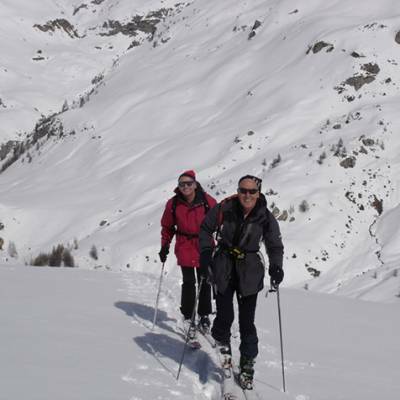 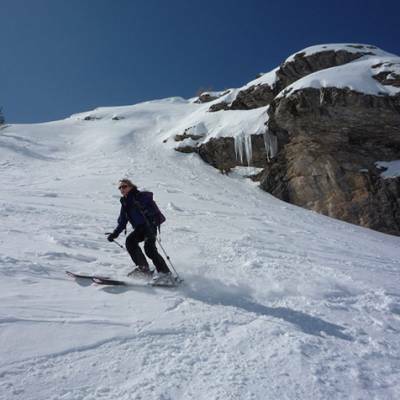 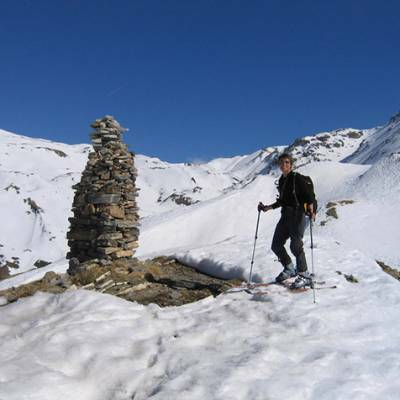 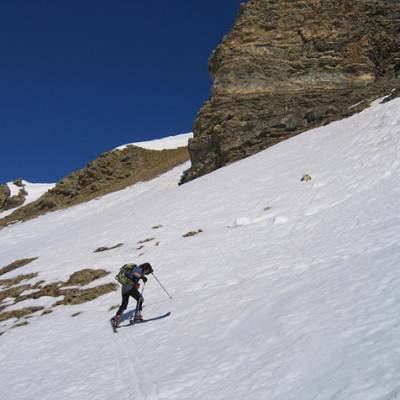 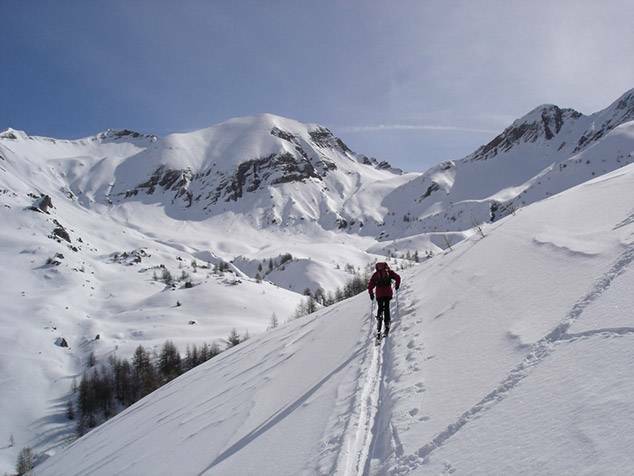 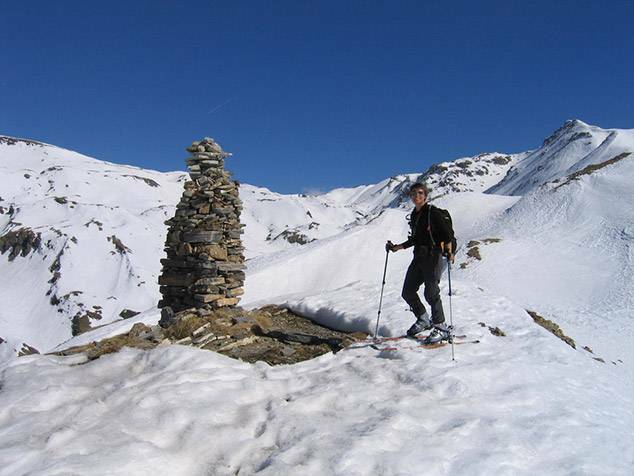 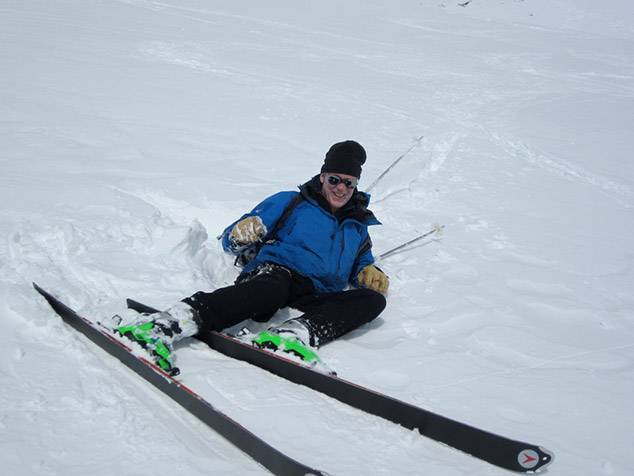 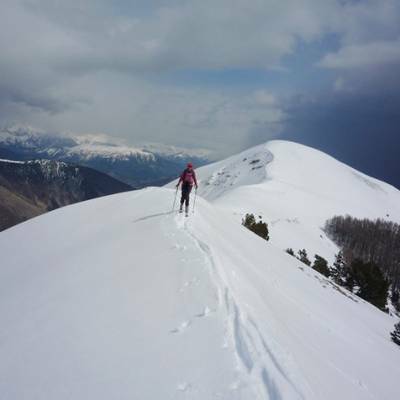 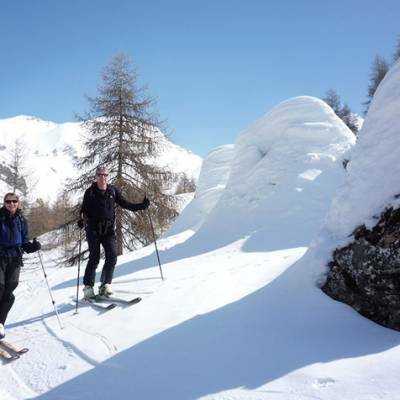 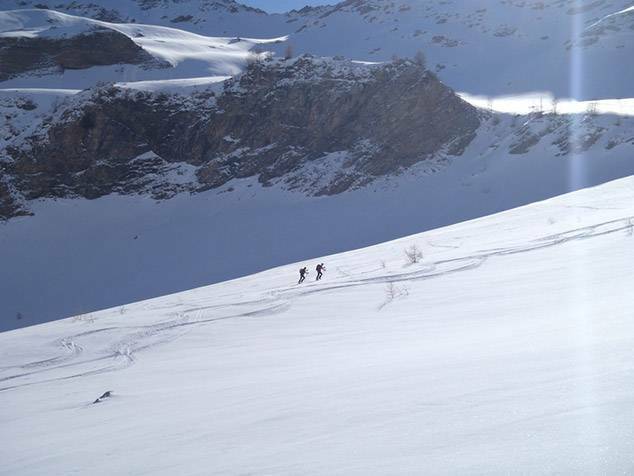 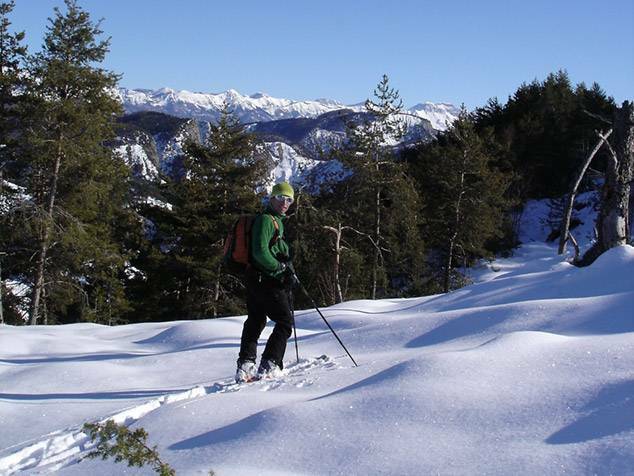 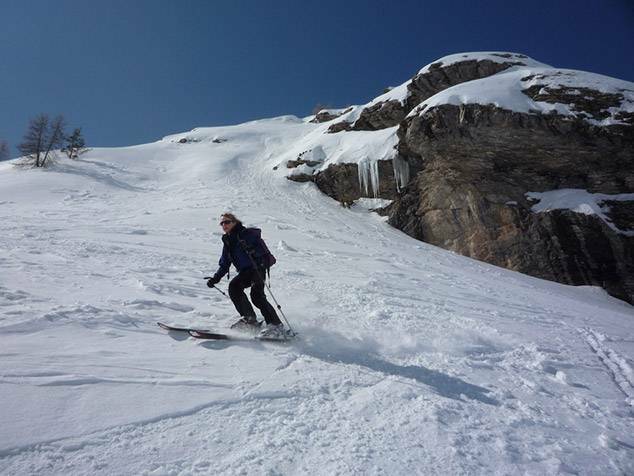 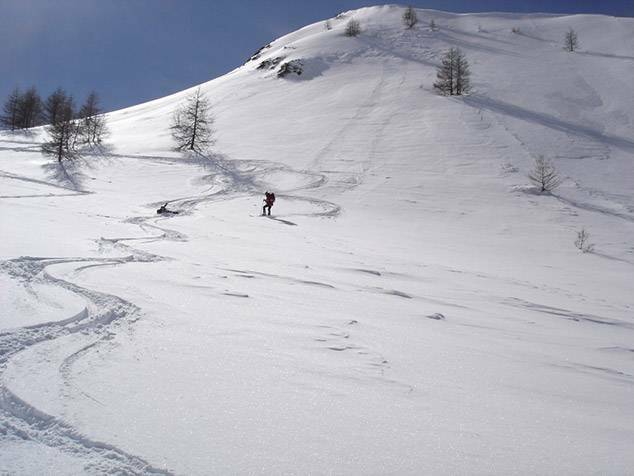 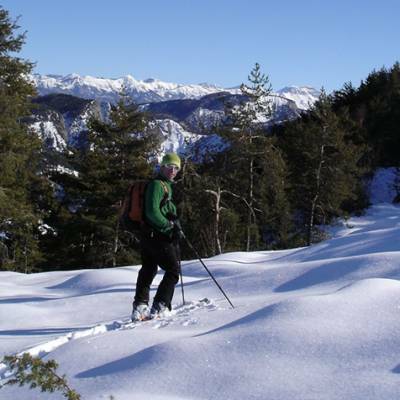 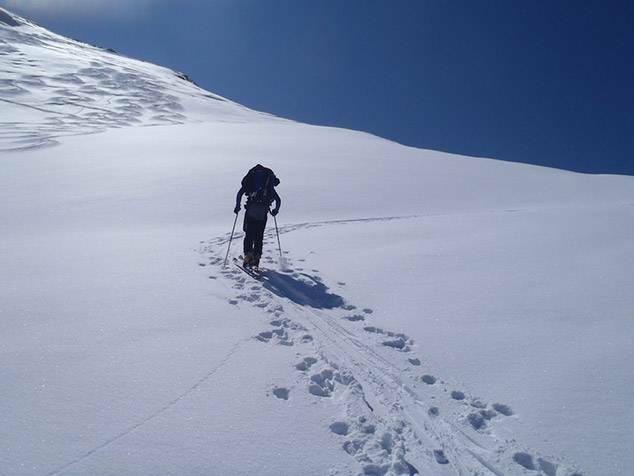 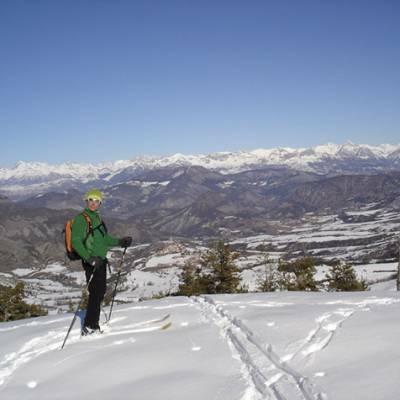 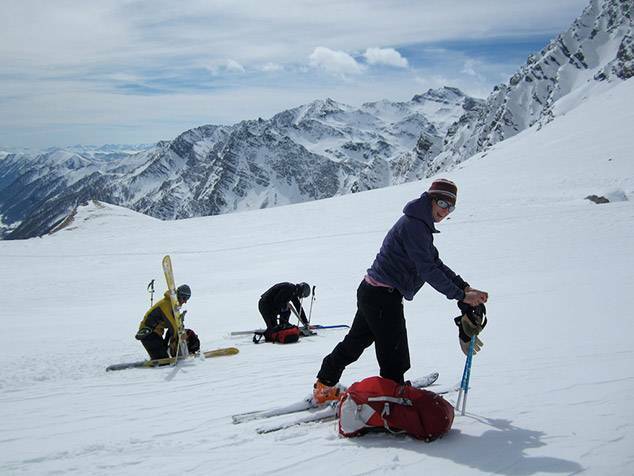 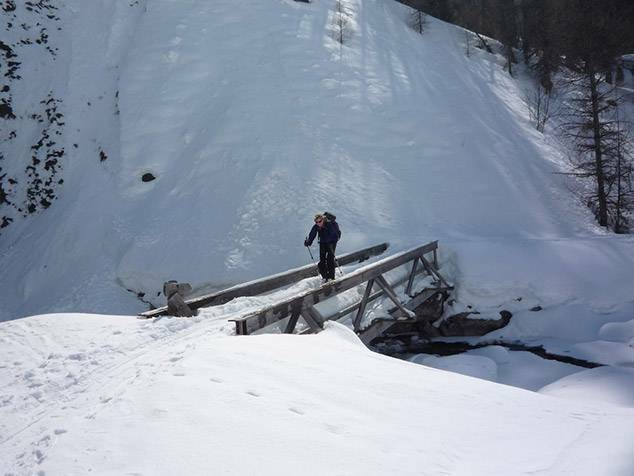 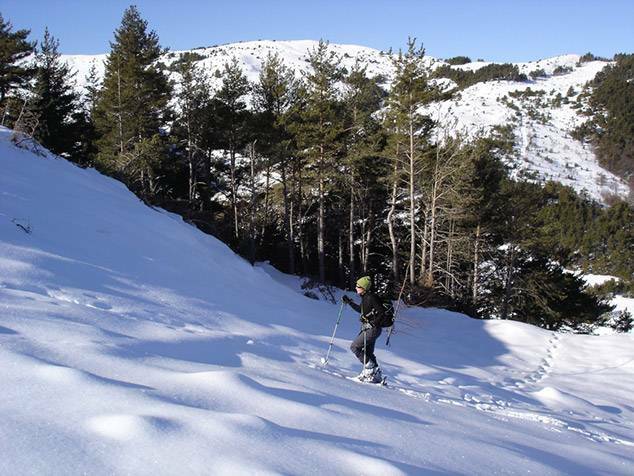 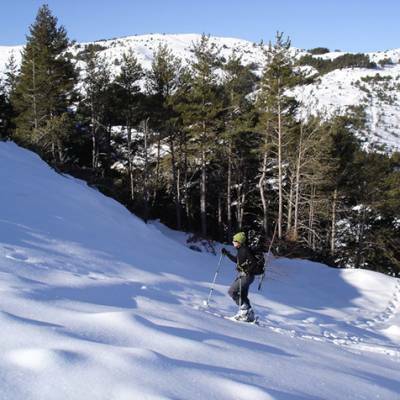 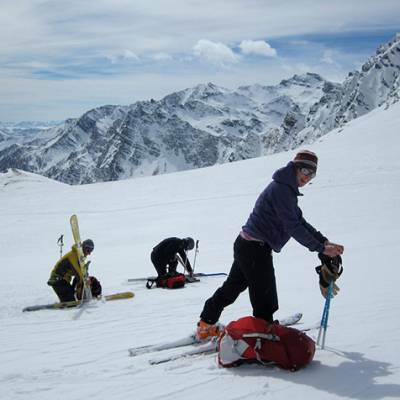 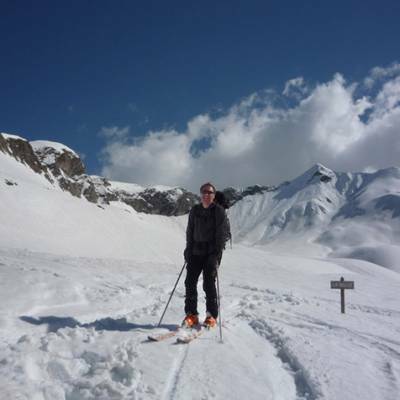 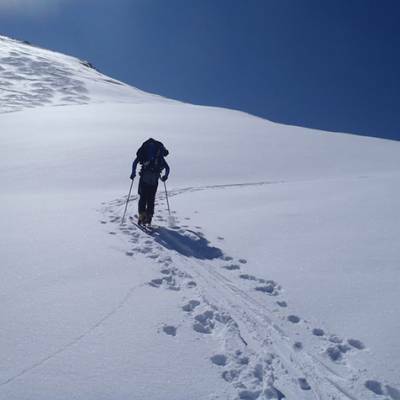 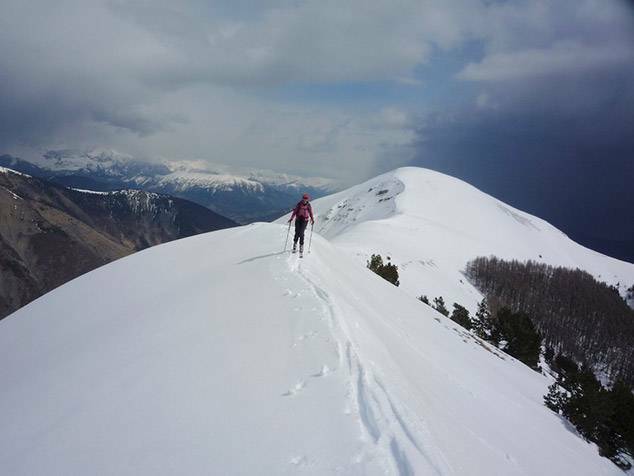 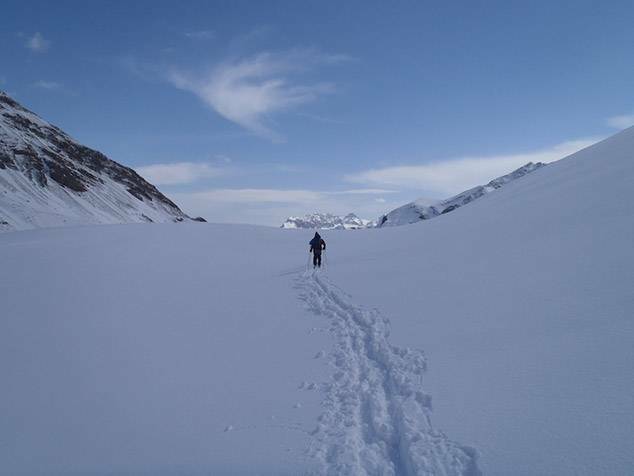 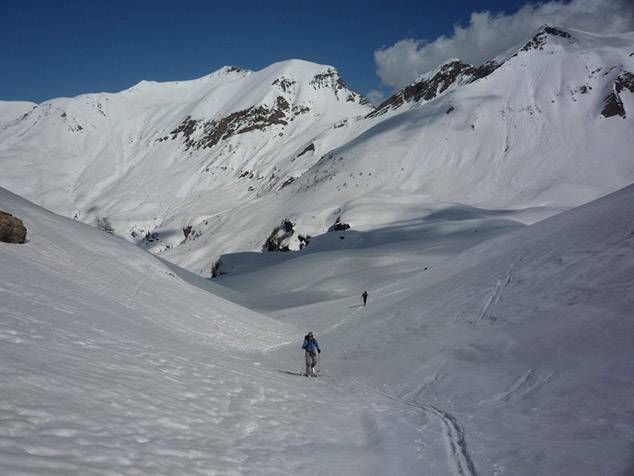 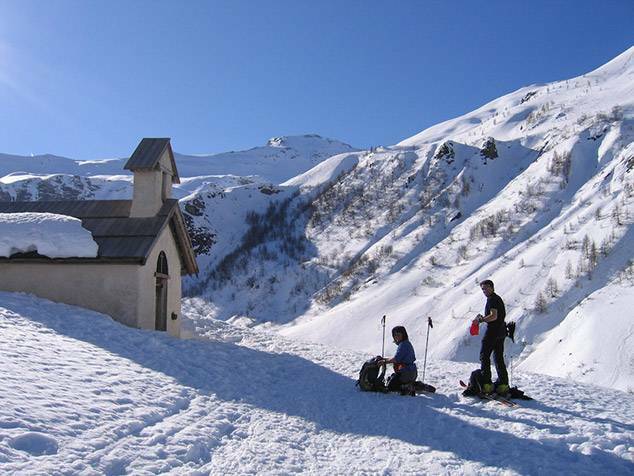 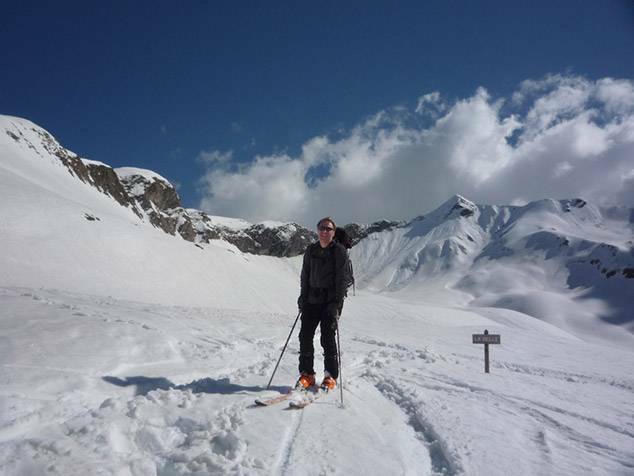 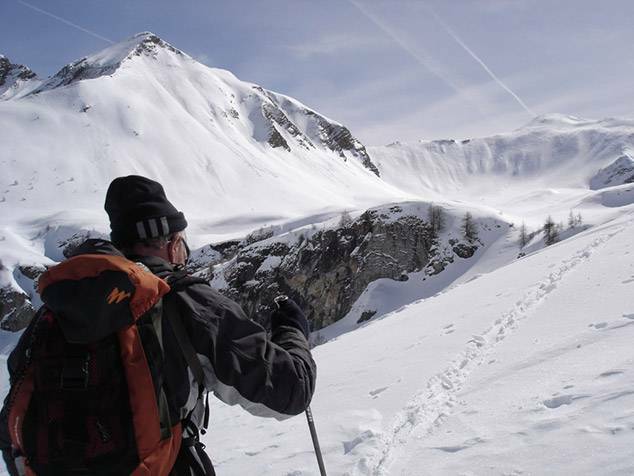 You can also try ski touring as part of a winter activity holiday. 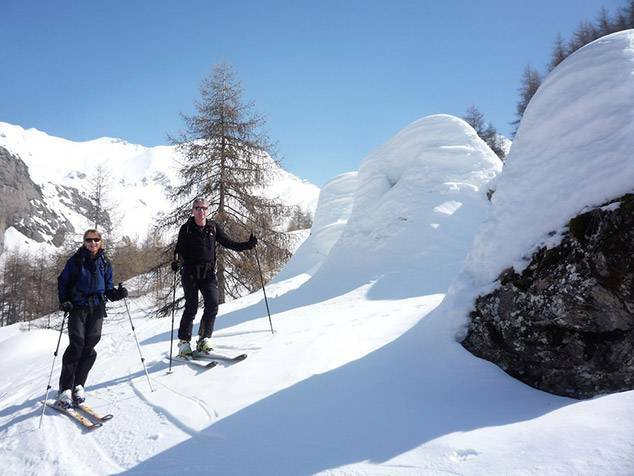 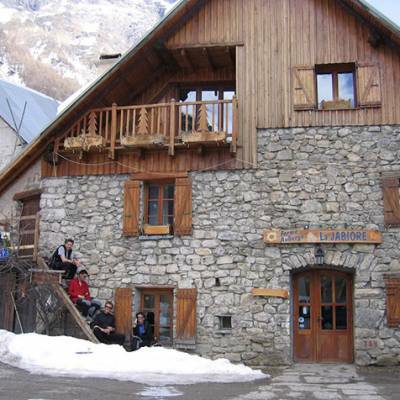 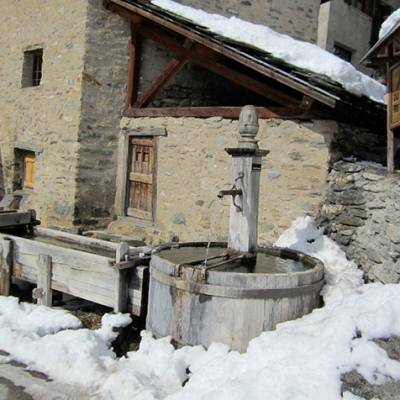 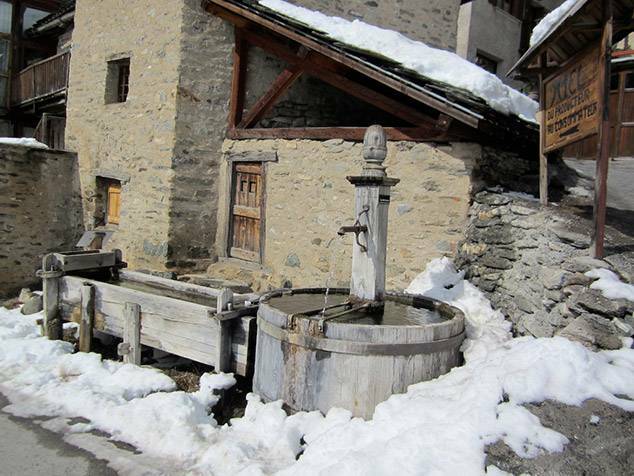 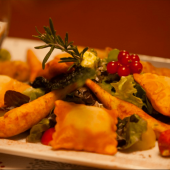 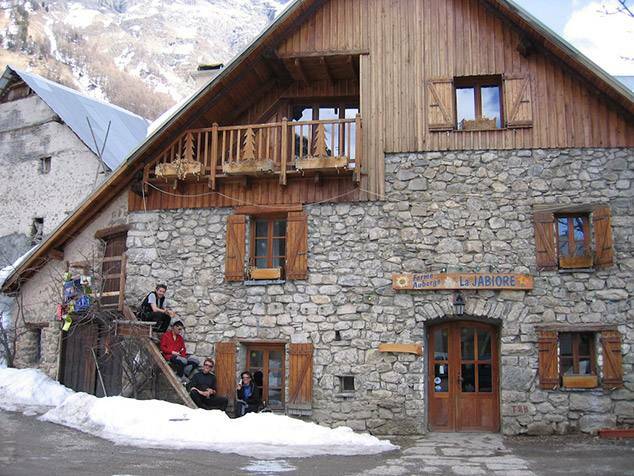 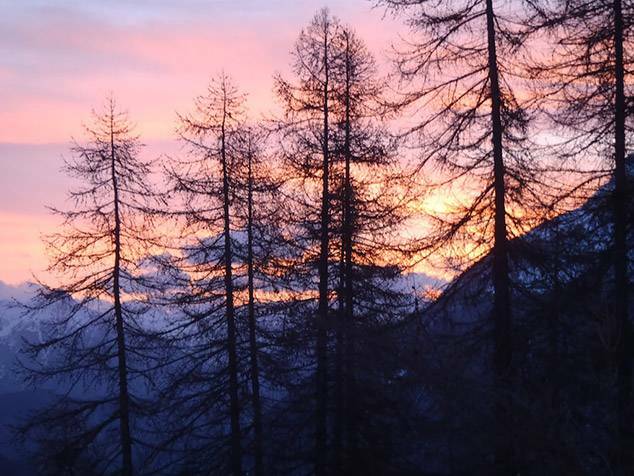 A true ski adventure away from the pistes in the Alps. 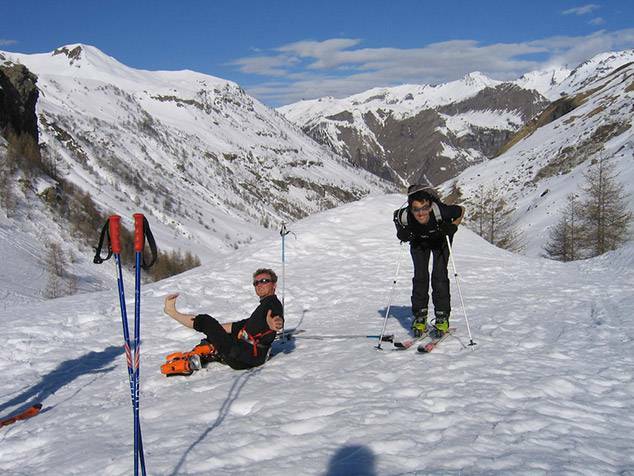 For fit people who are good at skiing! 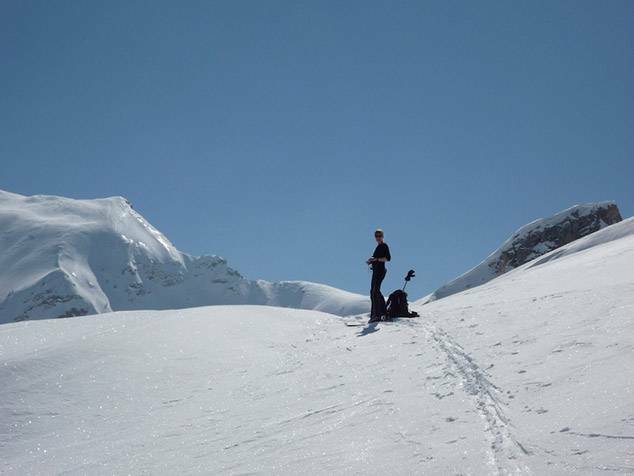 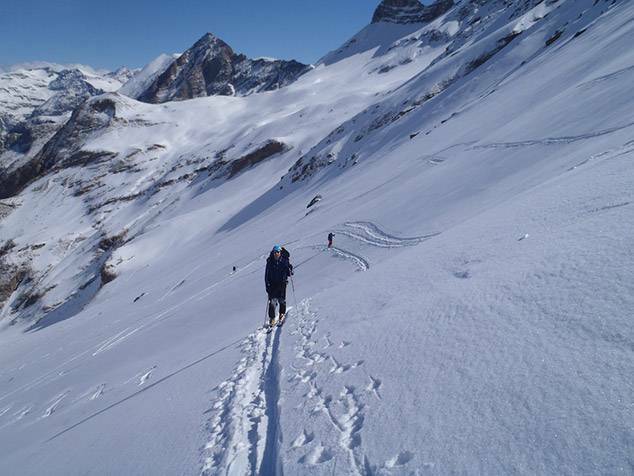 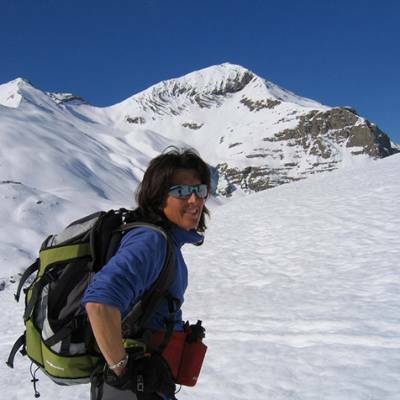 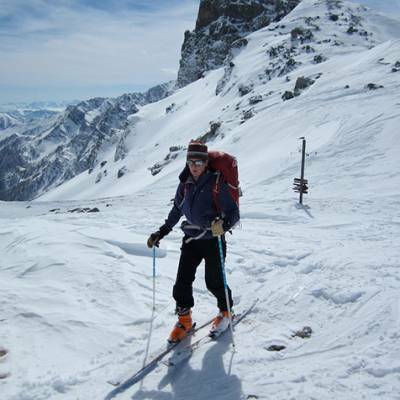 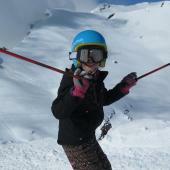 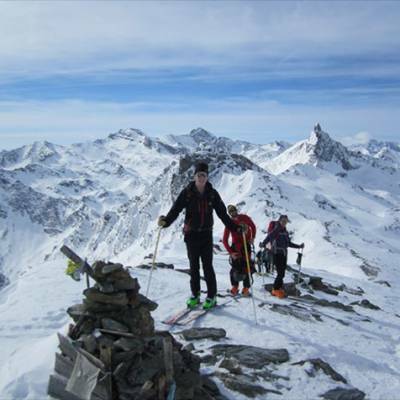 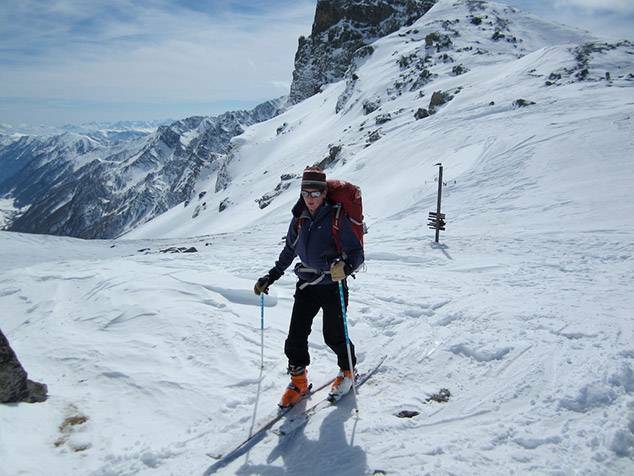 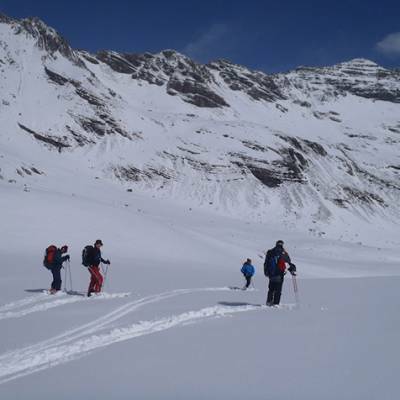 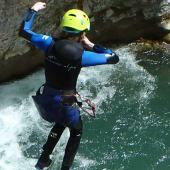 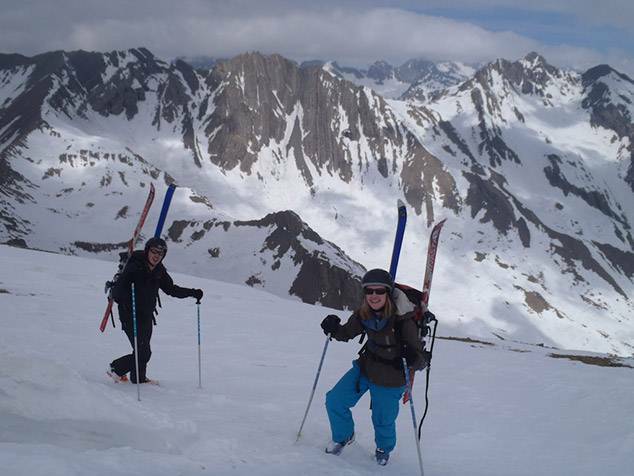 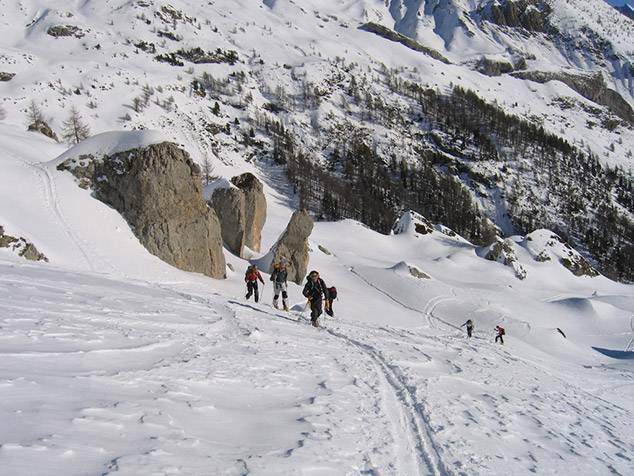 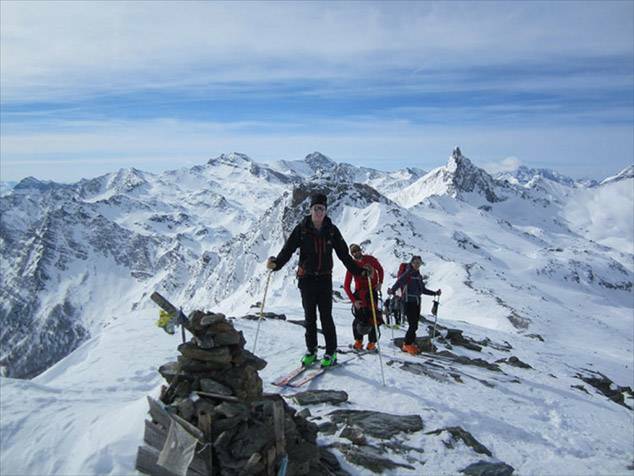 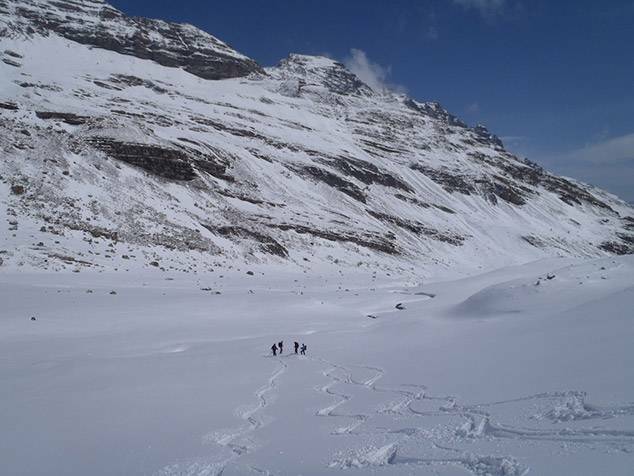 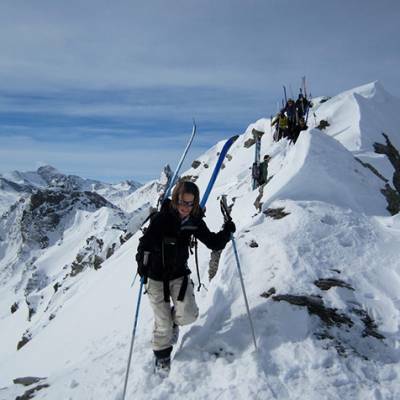 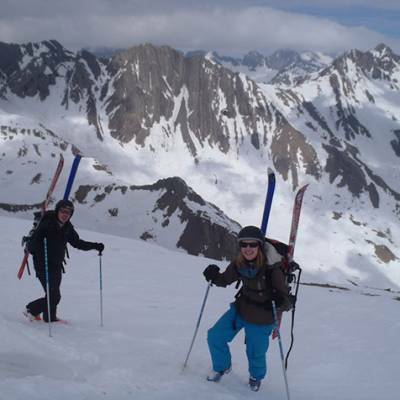 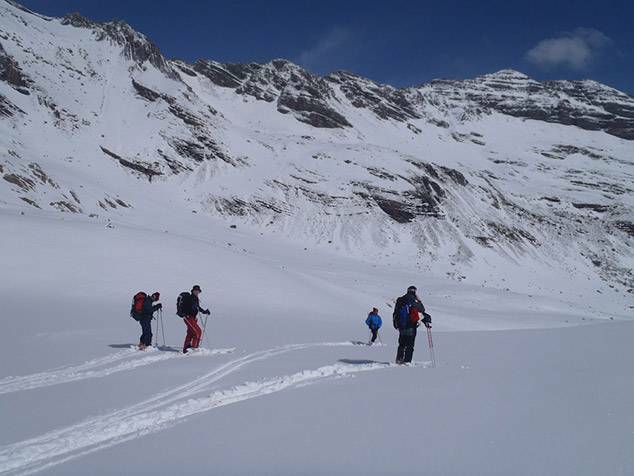 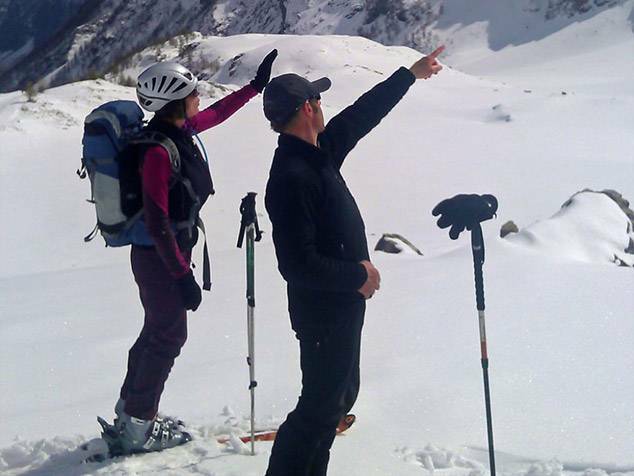 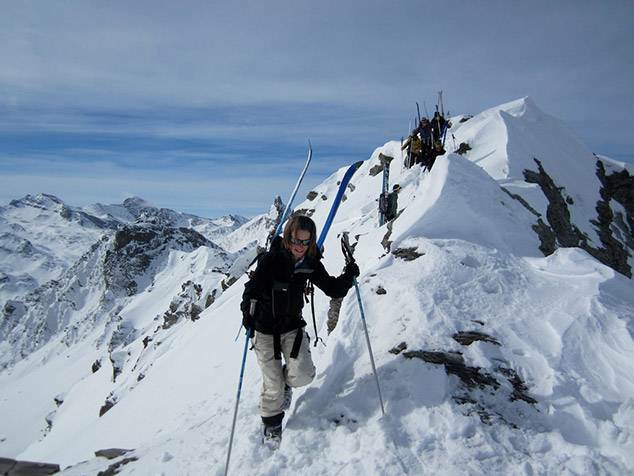 Minimum age for ski touring is 16 except for exceptional teenagers with ski club experience. 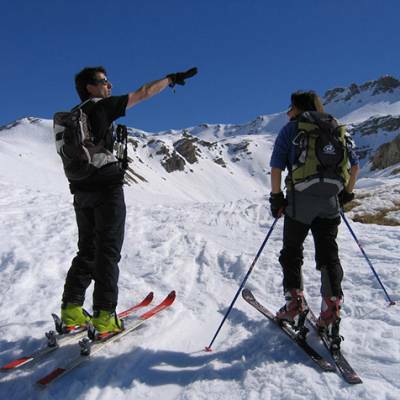 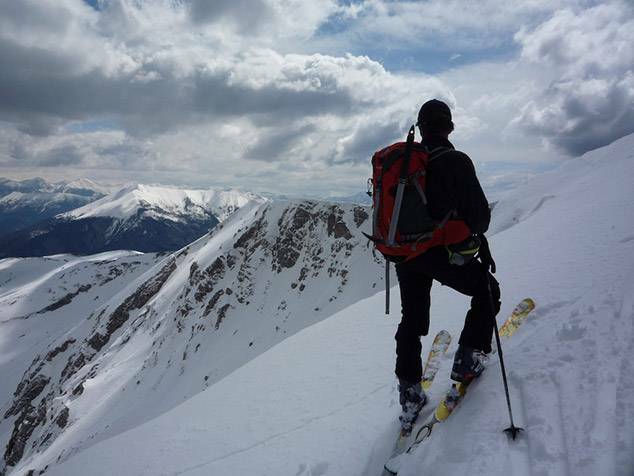 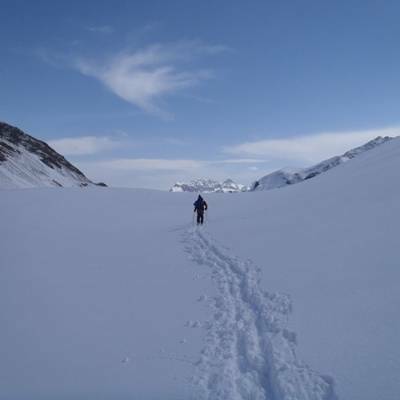 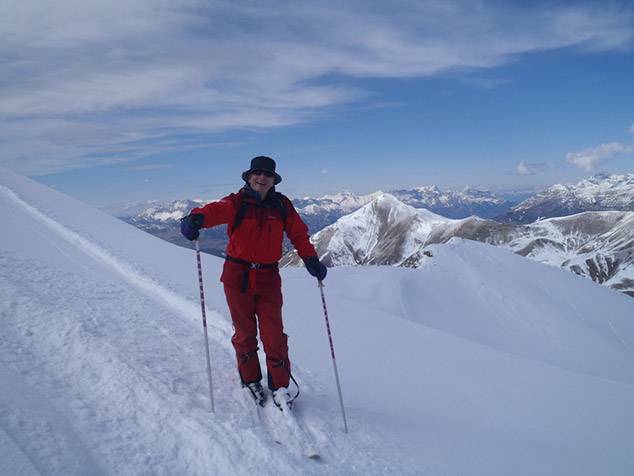 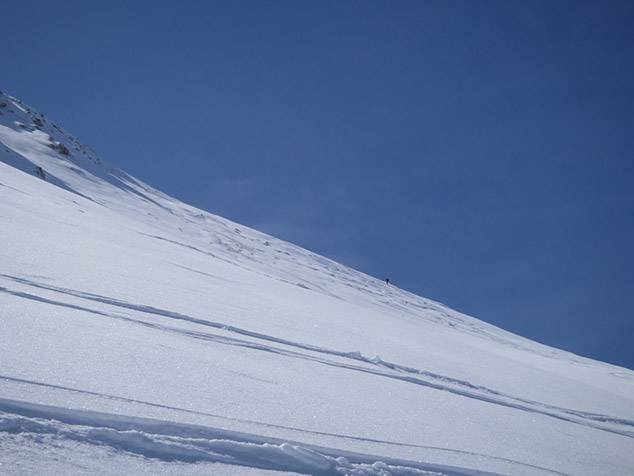 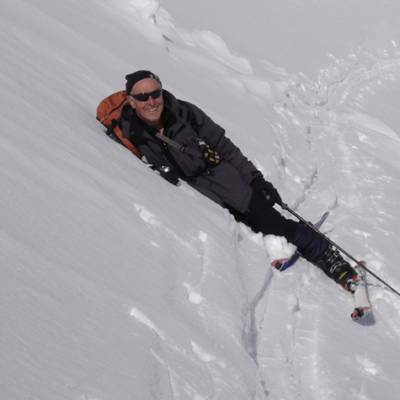 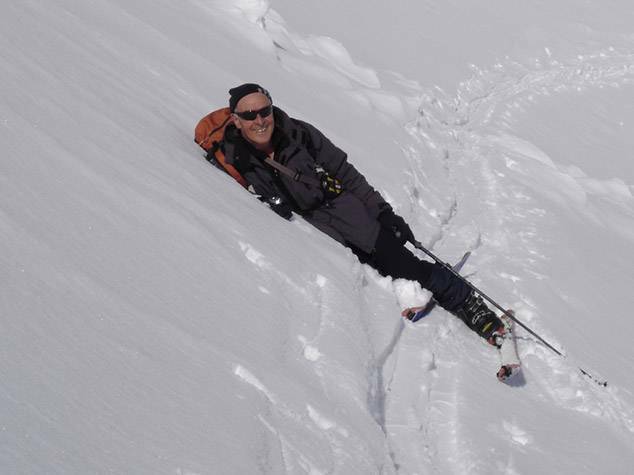 Ski touring requires an intermediate level of skiing technique, ideally with some off piste experience and a good level of cardio fitness and stamina.